Gain new clients and maintain trust with existing patients with Doctor Reputation Management. Increase your online visibility and manage your online reviews. Online Reputation Management for Doctors and Physicians has now become the number one concern for medical professionals. 90% of patients and colleagues are now interested in checking out review sites such as Vitals, Rate MD’s and healthgrades, according to a recent Wall Street Journal / Harris Poll. According to a Harvard Business School Study on Reviews, Reputation, and Revenue: a one-star rating decrease can reduce revenues by nearly 10% for a business practice. A Doctor’s online reputation plays a major role in obtaining new clients and maintaining trust with existing patients and colleagues, but it only takes one negative review to have patients rushing to cancel their appointment. The modern physician must manage their online reputation by monitoring what is being said about their practice and controlling what is being seen over the Internet. 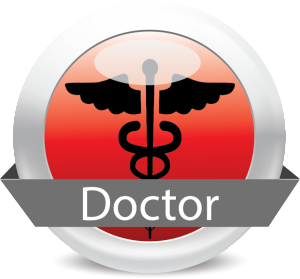 Physicians should use resources like doctor SEO & web visibility & doctor online reputation management to ensure that customers can not only find the practice online, but also find that the practice has a good reputation. Yet most practices do not have the time, expertise, or manpower to devote to these essential marketing duties. That is where Reputation911 can help. Our My Online Review Service Automatically collects customer reviews and gives the business owner the opportunity to communicate with customers who left negative reviews before those reviews are published online. Practices that find that they need to increase their online visibility should use our Business Visibility package so that when patients are searching for specialists in their area, your practice shows up in the search results. Take back control today with our Professional Reputation Products. What do people find when they search for you online? We can remove online complaints and negative feedback to improve your Doctor Reputation. We can also increase the web visibility of your practice so that more patients are walking through your door. Call us today for a confidential consultation with one of our Online Reputation Managers at 1-866-MY-REP-911 or fill out the form on the right for a free evaluation.